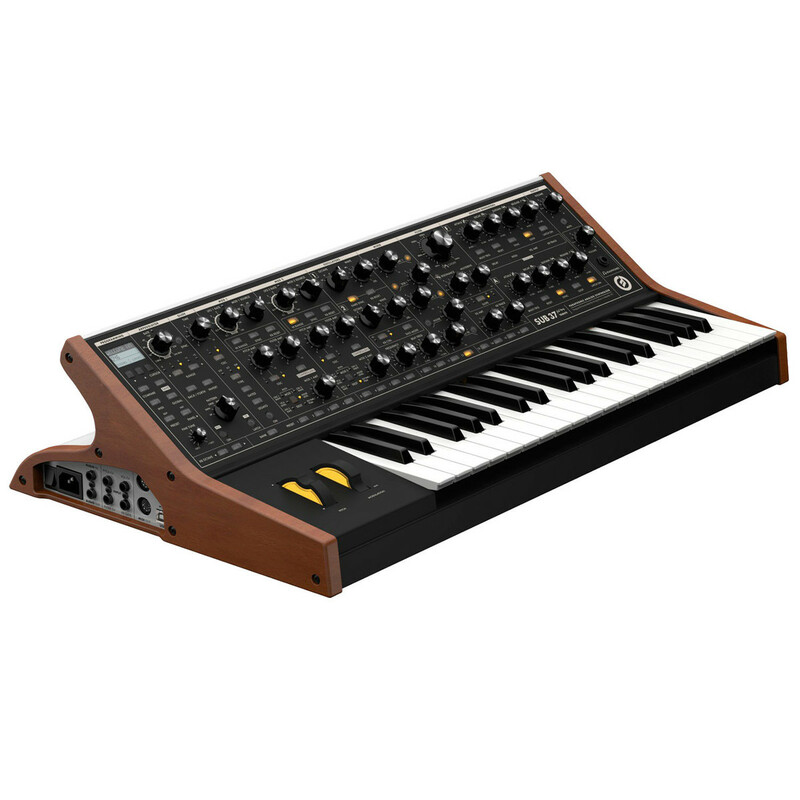 The Moog Sub 37 Analog Synthesizer is a limited edition (2-note) paraphonic analog synthesizer built on the award winning Sub Phatty sound engine, which also includes syncable arpeggiator and step sequencer. 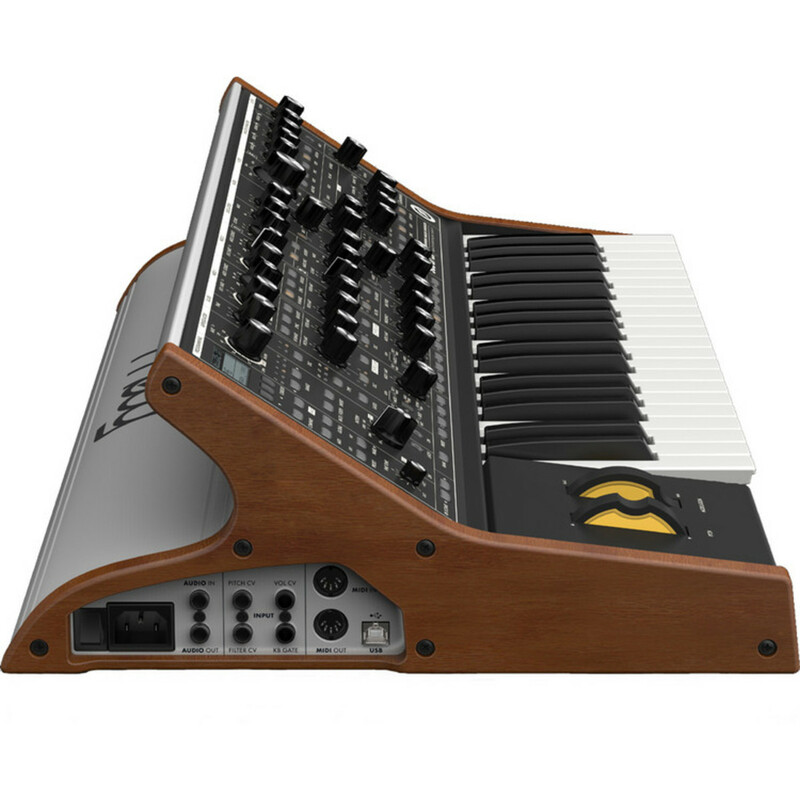 The Sub 37 Tribute Edition has a voice architecture very similar to the Sub Phatty but has 37 keys. You can now edit many of the functions of the Phatty making it instantly appealing to hands on sound programmers. The Sub 37 is an analog and digital synthesizer crossover with an analog signal path controlled by digitally generated modulators and contour generators. Based around a three octave keyboard and constructed from a steel chassis with wooden end pieces the Sub 37 is a heavy duty synthesiser which combines the best of both worlds to create a truly versatile instrument. Loaded with all the essential Moog features the Sub 37 incorporates two oscillators plus a noise generator to construct a dense sonic foundation, ladder filter with resonance, multidrive and selectable filter slopes. Also featuring a syncable arpeggiator and step sequencer the Sub 37 provides all the tools you need to produce fantastic sounding electronic music. 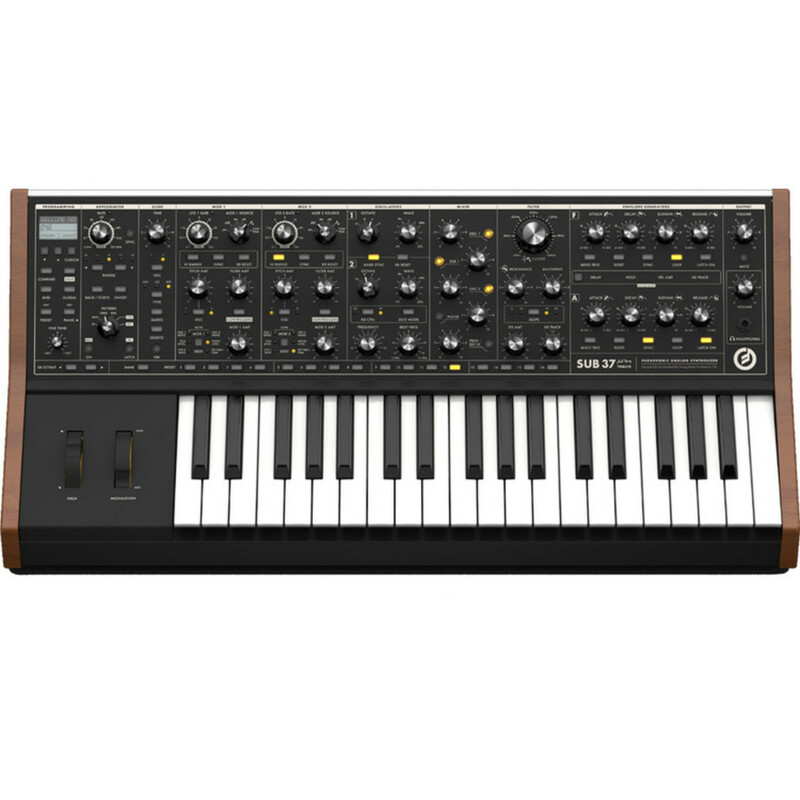 The Moog Sub 37 has 256 on board memory locations perfect for quick recall of all your tones. The paraphonic operation lets you play each of the two oscillators independently although they share the same single VCA and VCF. The Sub 37 has more snarl than any other Moog but it's also capable of handling gentler sounds and classic patches. 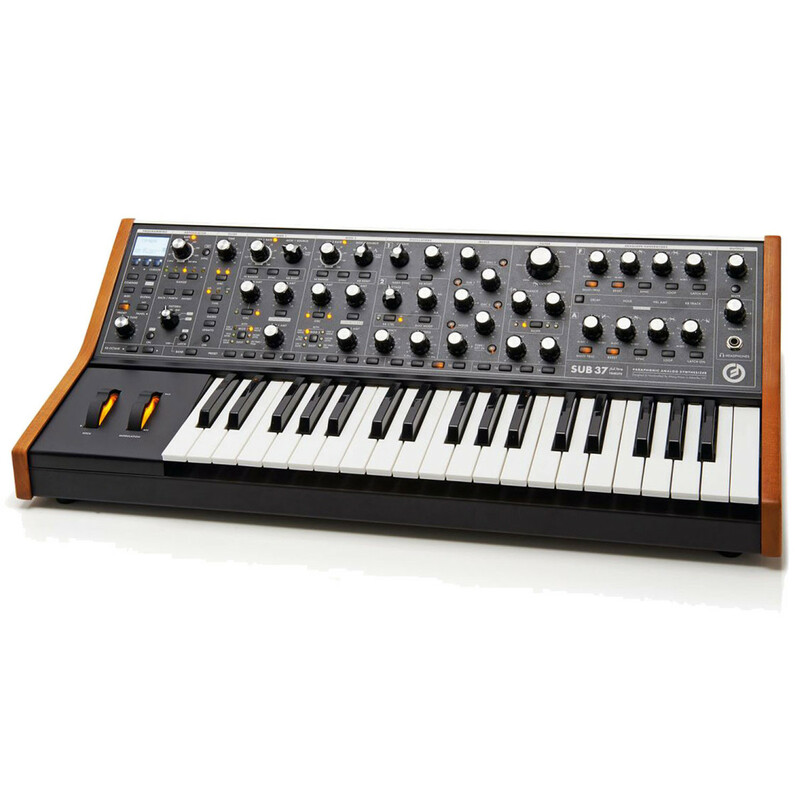 It's an immediate, hands-on synth that gives you that classic Moog sound. The Sub 37's size, triggering options and performance facilities make it many performers' first choice when taking to the stage.